The Lipscomb men’s basketball team is heading back to North Carolina for the third time in the NIT. North Carolina State beat Harvard 78-77 Sunday night to advance to the tournament quarterfinals. The Wolfpack will host the Bisons on Wednesday, March 27 in Reynolds Coliseum. Tipoff is set for 8 p.m. CT on ESPNU. The winner of Wednesday’s battle will advance to the NIT Final Four, which will be played in New York City’s Madison Square Garden on April 2 and 4. 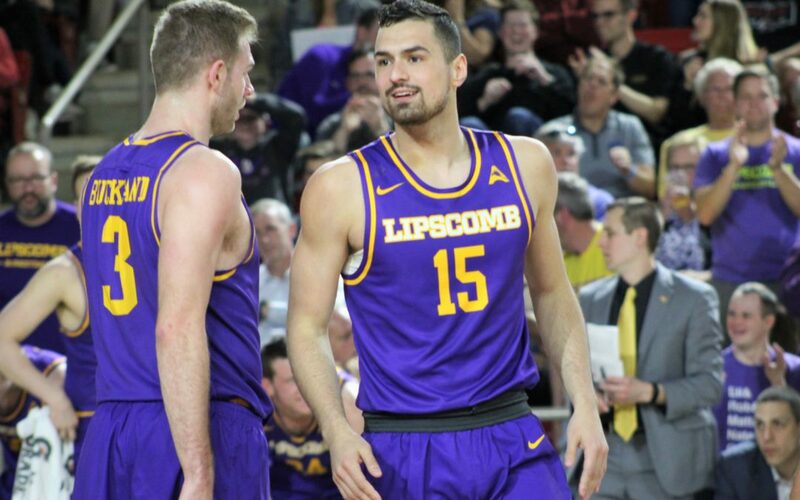 Lipscomb (27-7) returned to Nashville Saturday night after handing UNCG an 86-69 defeat in Greensboro Coliseum. The Bisons also took down Davidson 89-81 in the first round last Tuesday. The team traveled to and from North Carolina on charter flights for both games. Before escaping with a one-point win over the Crimson in the second round, NC State opened the NIT with an 84-78 victory over Hofstra on March 19. The Wolfpack (24-11) narrowly missed the NCAA tournament despite finishing No. 32 in the NET rankings. The NCAA selection committee cited NC State’s 3-9 Quadrant 1 record as the main reason it was left out. NC State is led in scoring by three experienced guards, including senior Torin Dorn (13.5 PPG), junior Markell Johnson (12.4 PPG) and redshirt junior CJ Bryce (11.5 PPG). Tickets are $15 and can be requested by clicking HERE. Reynolds Coliseum seats just 5,600 fans, so tickets are expected to go quickly. The NC State-Harvard game was sold out Sunday night.